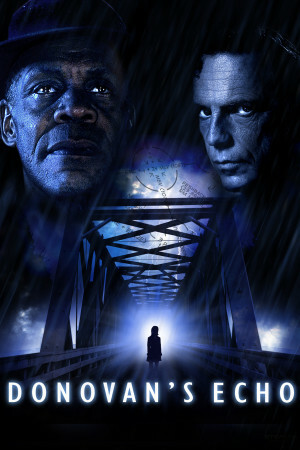 Donovan’s Echo tells the story of Donovan Matheson, (Danny Glover) a man trapped in the past. Once an esteemed physicist, he worked on the Manhattan Project but in the years that followed, he became engulfed in regret, which soon turned into an obsession with finding a way to use his work to do good. When his wife and child died in an accident Donovan blamed himself and his work for failing to stop it from happening. Thirty years on, Donovan returns to his home town, but instead of a welcome return he finds himself plagued by déjà vu and caught up in events that echo his family’s tragedy. He fears his young neighbour and her mother are doomed to die on the anniversary of his family’s deaths, but whilst he tries to unlock the pattern and decipher the puzzle linking past and present, the local police question his sanity. Is he losing his mind, or running out of time?